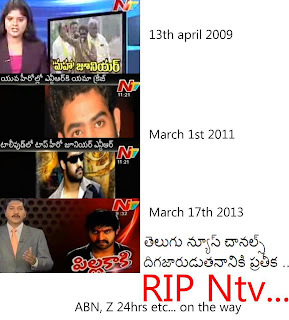 NTR Pilla kaki Programme in NTV.. mari darunam ga vundi. Criticism ki kooda oka haddhu vundali..mari hero height and color meeda intha direct comments ekkada chudaledu. 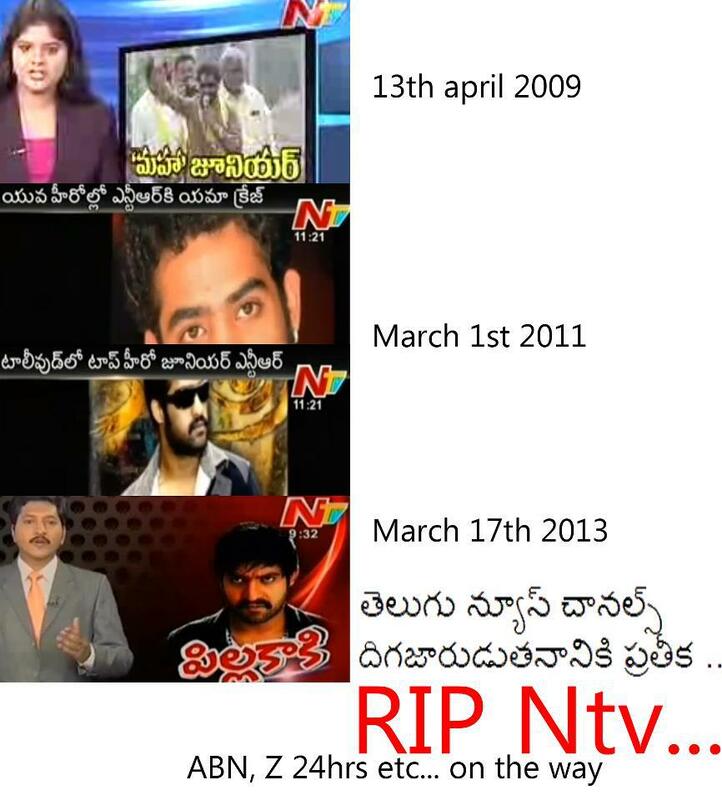 Idhey NTV NTR is top hero ani chala programmes chesindhi..
Below is the Screenshots of various programmes on NTV on NTR as top hero.. Undoubtedly its a paid programme , kani evaru chesthunnaro enduku chesthunnaro ardham kavatam ledu..More over this programme is more like creating a vaccum between nandamuri fans. Present chala mandhi youth ntr fans vunnaru.. vallu ilanti programmes chusthey TDP ki dooram avvatam kayam. Source of the Picture : From FB.